Trimming hair manually each day can be a lengthy proposition for people who have a long morning grooming routine besides just hair removal. Using an electrically powered hair removal device can help you make this process a lot quicker. 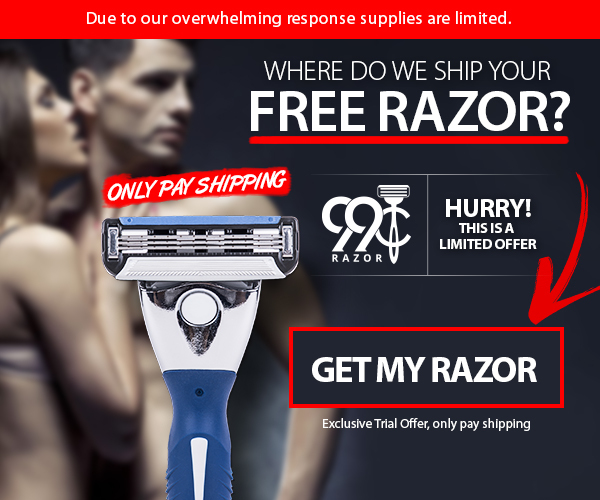 This can be a helpful inclusion for the people that wish to project a professional look while foregoing the costs and difficulty of using disposable razors and shaving cream, or other methods of hair removal. The company that manufacturers the Trym II is working to become a trusted brand that helps make your hair removal routine become easier and quicker and the Trym II is a great addition. 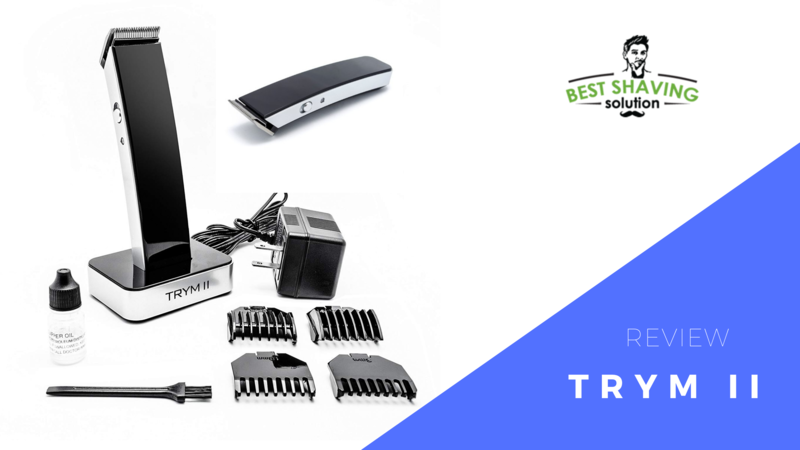 In this article, we’ll be covering the unique features and benefits of this electric hair trimmer while comparing a hand-picked selection of the product’s competitors. Once you’ve become educated about this product and its competitors, you should be able to choose the best hair trimming product for your morning routine. 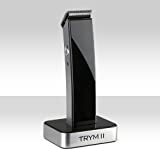 What is the Trym II? 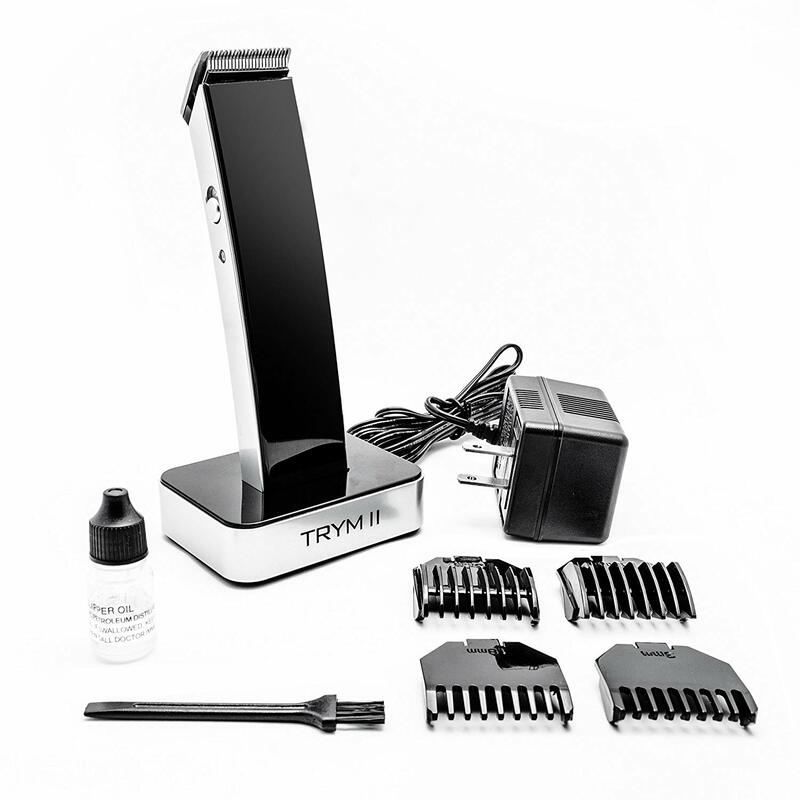 The Trym II is an electrically powered hand-held hair trimming device that operates on a battery charge to allow the user to trim hair wirelessly. The company that manufactures the device, Pure Enrichment, has paid special attention to each design detail of this trimmer hoping it will enhance the look of your bathroom. If you are a fan of Apple​product, you most likely will fall in love with the design of this product. This is one hair trimming device you won’t want to stow away in a drawer. You’ll be happy to have it prominently displayed in your bathroom due to its modern design that works well with many bathroom decors. The device itself has a light and thin build, which makes it easy to hold while trimming hair. It’s a great fusion of an artful design with practical functionality. The charging dock also shares the same sleek and modern design as the trimmer base and can get plugged in and kept wherever you want to store the base. When it comes time to charge the base, all you need to do is put the device down into the dock for it to begin the charging process. The device features an LED indicator light that allows you see it is charging and also see when it has a full charge. This device features a stainless steel blade that cuts hair effortlessly. The manufacturer designed the blade to resist wear and keep its sharp edge for a long time. The device can cut through facial hair easily, which is more than you can say about some competition on the market right now. Some other clippers could require multiple passes with the blade to get each hair trimmed to a uniform level. This device will allow you to eliminate this problem entirely, bringing each hair to the desired level with minimal work. The company makes no formal claims about the length of battery life, but the product delivers multiple trimming sessions with one full charge. Many users will dock this trimmer on their counter to enjoy its great design, and thus have it at full charge in most situations, but it is nice to know you can take the device traveling and use it for at least 4 to 5 trimming sessions without worrying about charging it again. The manufacturer includes variously sized trimming attachments in the box. This addition is a nice touch. Allowing the user to select multiple hair lengths without extra cost, trying to find compatible attachments adds value to the already affordable price of this product. The attachments include the following sizes: 1.5mm (approximately 1/16″), 3mm (approximately 1/8″), 6mm (approximately 1/4″), and 9mm (approximately 3/8″). The device’s internal motor allows the sharp blades to cut the hair of all thicknesses around the body easily. With the flip of its side-mounted switch, you can feel the powerful motor kick in. Within a few minutes of using this hair trimmer, you can tell it won’t bog down or stop when confronted with even thick, coarse beard hair. 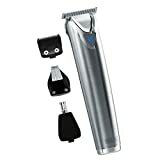 At a minuscule price tag of just around $30 on Amazon, this hair trimmer offers a great value to the user for the performance you receive. Amazon also offers Prime shipping if you’re an Amazon Prime member, and right now there is a $5 off coupon for this product as well to bring the overall price to around $25 shipped to your door. We have compiled a wealth of useful information for a few similar products available on the market to see how they compare against the Trym II. We have compared these products by analyzing the price of the product, the ease of use, how quickly you can get them up and running, the device’s battery life, the included accessories, and the design quality. At just $30 with free shipping for Amazon Prime members, this product represents the most affordable option we reviewed on this list. 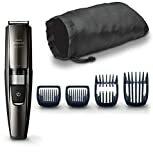 The Philips Norelco Beard Trimmer Series 7200 is a unique product because it offers the user a built-in vacuum feature that helps to minimize your clean up routine after trimming hair. While this is a great feature there a few drawbacks to the system. Some users found it difficult to clean the device thoroughly, and they run the vacuum mechanism from the same motor and battery that powers the cutting blade. This results in a battery life that is much less than some competitors, so this product may not be the best for taking on long trips where you don’t plan to be next to an outlet. Overall this product works well. It’s equipped well with accessories that allow you to select up to 20 settings for hair lengths. Some users could see the vacuum feature as a great addition or a gimmicky feature that steals battery life. Consumers can purchase the product for around $55 on online retailers like Amazon. Amazon offers free Prime shipping for Amazon Prime members. The Wahl Lithium Ion Stainless Steel Groomer is probably the best looking and feeling product out of the bunch due to the metal design that makes it look like a work of art. The Trym II has a great aesthetic, but the fit and finish of the Wahl product compare favorably if you prize a heftier build. The battery life of this trimmer is also superb. They rate the product for 4 hours of continuous use, and it has a quick charge feature where 1 minute of charging can get you about 3 minutes of use. This device comes with some nifty accessories that allow you to trim nose and ear hair effortlessly, or swap the wide blade for a precision detailing blade to make intricate designs. In the box, you get 12 different trimming guide that let you select the perfect hair length, and even a carry case with brush and blade oil. Consumers can purchase the product for around $60 on online retailers like Amazon. Amazon offers free Prime shipping for Amazon Prime members. The Brio BeardScape Beard and Hair Trimmer come with a ceramic blade they advertise to be 4 times harder than stainless steel, which should allow it to keep its edge much longer than traditional blades. The product operates quietly and has a powerful motor that cuts hair well. It comes with 8 attachments that offer many settings for hair length, and a charging base. The plastic design of this product was not our favorite, and even though it comes with 5 speed settings and a digital display, we couldn’t help but wish it had a little more style. Consumers can purchase the product for around $65 on online retailers like Amazon. Amazon offers free Prime shipping for Amazon Prime members. This product represents the most expensive option on this list and has an option to come with a zipping travel case bundle that sells for around $75 on Amazon. Using an electric hair trimming device can be a great option for those trying to maintain a clean and professional look. Foregoing the difficulty, pain, and cost of disposable razors and shaving cream can be a huge benefit when using these devices. Any of these hair removal devices could be a great option for your grooming routine, the budget you’re looking to spend, or hair removal preferences, so each product serves a purpose for different users. If money is not the primary concern for your purchase, the Wahl Lithium Ion Stainless Steel Groomer could be a great fit for your needs. The product comes from a trusted brand and has gotten great reviews from many of the people who purchased it. The sheer number of accessories the product comes with puts it above the competition and its all-metal stainless steel design looks fantastic and feels great in the hand. The product is about twice as expensive as other competing devices, but if money is not the deciding factor in your buying decision, the Wahl product would be the one to recommend. If your budget is more limited and you are looking for a hair removal option that is the most affordable option is definitely the Trym II. At around $30 shipped to your door, and with a $5 coupon, the product represents a great value to the purchaser. It doesn’t come with the most bells and whistles, but the product strikes a good balance between hair trimming performance and overall cost. We hope the information we compiled in this article can help you determine if the Trym II is the best option to fit your personal hair removal needs.